NT MasterPact Circuit Breaker I think this post is going to be helpful to several of our readers. 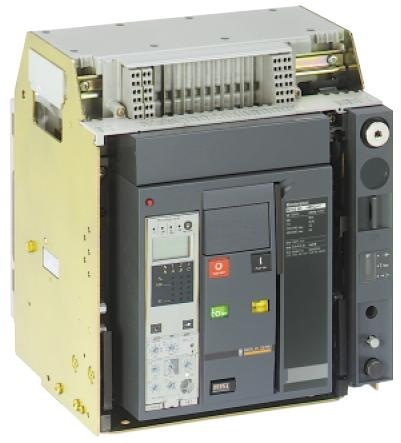 While the IEC low voltage circuit breaker Standard [IEC 60947-2, Low voltage switchgear and controlgear - Part 2: Circuit-breakers] has been around for many years now, it's surprising how often fault ratings are misunderstood. Hopefully we should be able to clear some of the misunderstanding. While the definitions are pretty straight forward, perhaps a little discussion is worthwhile. Icu is really the maximum perspective fault which a circuit breaker can clear (with the fault current being expressed as rms for ac). This is verified by testing in accordance with the standard and is applicable at a specific set of electrical and environmental conditions. If these conditions change then it may be necessary to derate the circuit breaker. After clearing a fault the circuit breaker does not have to remain serviceable and could be dangerous to operate. This point is particularly important in circuit breakers when the Ics is lower than the Icu. Icu is subject to an O-t-CO sequence. The breaker is then certified safe by a simple dielectric test. Ics is subject to an O-t-CO-t-CO sequence. The breaker is then subject to both dielectric withstand and temperature rise tests. Tests are carried out at the specified fault current. Ics is the maximum perspective fault current which the circuit breaker can clear and still remain serviceable. The standard does allow some minor welding of the contacts to take place, so after a large fault it would still be necessary to inspect the breaker. When specified as a percentage of Ics, the standard proposes ranges of 25%, 50%, 75% and 100%. Icw is the perspective fault withstand rating (rms for ac). Circuit breakers may be subject to through fault which they are not intended to clear. While not clearing these faults, the breaker will still need to withstand the thermal and mechanical stress imposed by the fault current. The longer a fault is present the more the effects build up and Icw always has a time element associated with it (i.e. 50 kA for 1 second). The standard specified preferred time ranges of 0.05, 0.1, 0.25, 0.5 and 1 second (although 3 seconds is also often used in practice). Icm is the peak current which the circuit breaker can safely break or make. It is expressed as the maximum perspective peak current at a rated voltage, frequency and power factor and is always greater than Icu. From a safety aspect this is particularly important as it will be the primary mechanism to protect the operator if the circuit breaker is closed on to a fault. All ratings are derived under specific electrical and environmental conditions and are verified with the circuit breaker in free air. As soon as the breaker is enclosed in in any kind of panel or cabinet the ratings change and need to be re-assessed as part of the assembly testing. To end the post, a short discussion on applying the ratings in selecting a circuit breaker. It should now be obvious that all the fault parameters need to be considered in selecting the correct circuit breaker. I think a lot of people reading this have seen specification clauses like, "circuit breakers shall be rated at 50 kA for 3 seconds", with no other details. When I see statements like this my first impression (rightly or wrongly), is that I'm reading a poor specification. I would encourage everyone to be specific in their specification of what they require and address Icu, Ics, Icw and Icm as part of the specification. I've also noticed that in general for most of the big manufacturers the majority of their ranges have an Ics equal to the Icu. If I'm presented with a breaker where this is not the case, I immediately become sceptical on the quality of the device. The device may well be suitable for the application, but I would be more vigilant on my appraisal of the circuit breaker. I tend always specify that the Ics should equal the Icu - to my mind, what is the point of a circuit breaker if it can't be readily reused after tripping. Something else to bear in mind is that the rating vary depending on the voltage. For low voltage, we are talking anything from 1000 V down to zero. The lower the voltage the higher the rating (for example, a Schneider NW12 H2 breaker has an Icu = 100 kA at 415 V, and this drops to 85 kA at 525 V). Icw is also dependent on time (the longer the fault the lower will be the rating). Often Icm is larger than Icu or Ics - make sure you are looking at the right figures and if you are interested in the Icu it should be Icu you are being shown and not Icm. As a final bit of advice - always consult manufacturers catalogues and technical data. Manufacturer's produce a whole range of devices, and you need to select the correct one for your application. There is no point paying for higher rating if you don't need to. At the same time compromising on ratings to have a cheaper circuit breaker jeopardizes safety and operational reliability. Can you please gave me the example computation and the formula, how to calculate if I have 3-22kw and 3-17.9 kw 480V/ 60hz. Icu rating,rating of current transformer ratio to be used. You can select an appropriate Icu, by knowing the fault level at the switchboard in which the circuit breaker will be installed and then looking at manufacturers catalogues to pick out a suitable breaker (an Icu bigger than the fault level). As a start, maybe estimate your fault level and then look at motor breakers in a Schneider catalogue. I think you may find that the Icu are all above your calculated level anyhow (making the selection easy). The catalogue will also provide some help on selecting the correct motor starting breaker generally. As a manufacturer of electric water heaters, we have been asked, "What is the withstand rating of the circuitry inside the water heater?" We assume the customer asks so he can choose the correct withstand rating for his circuit breaker. How do I determine the withstand rating of the water heaters circuitry? Or is this an incorrect point of view? The water heater is 480 volt, three phase, 54 or 72 KW. The way I would understand this is the when there is a fault inside some equipment (heater in your case), it needs to be able to safely withstand this until the upstream circuit breaker (or fuse) clears the fault. The level of fault in the equipment depends on the available upstream system fault capacity (which depends on the system design). There will be some limit above which any fault in the equipment will be dangerous (external arc, explosions, flying metal, etc.). My thinking is that they are asking what this level is for your heaters then they can ensure that the upstream system does not deliver more energy than this. In the US, NEC 2008 re-addressed/clarified this issue under short circuit current rating for equipment and components. Basically it ensures that a piece of equipment can withstand a given fault level, when protected by a given circuit breaker or fuse. While this is normally by testing, there is also a calculation method you can use to come up with a figure. The paper is helpful, well worth reading and should answer a lot of your questions. I’ve also uploaded a copy in the document library under tools. Hope this helps. 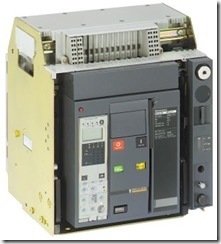 A 400amp 480 V Tmax circuit breaker rated at an Icu of 120kA and a Ics of 85kA. Anywhere between 400amps and 85kA phase to phase current will cause the breaker to trip without consequence. Above 85kA it will trip but will need repairs before being able to be reset. Above 120kA and it wont trip and will rely on the next breaker on the line side for protection. As far as I understand, I think everything you say is correct, except for the last bit. At above 120 kA the breaker may still try to clear the fault, but it may not be pleasant. The breaker will be trying to clear a fault with more energy than it was designed for. How do I determine the arc fault duration time on circuit breakers? SupermanFalcon, could you be a bit more specific on your question. If your looking a the time it takes to extinguish the fault for the moment the contacts start parting (or from the time any arc within a breaker is created), then I would suggest contacting the manufacturer to see if he can provide this. I wouldn't think there is any sort of way to calculate it. 1. Does the circuit breaker's rated Icw vary with voltage? 3. With reference to 2, how do I deal with a close to generator fault that decays with time and a circuit breaker that needs to be delayed to obtain satisfactory coordination with downstream devices - perhaps below the short time pick up? 4. Do circuit breaker manufacturers provide circuit breaker "withstand" characteristics similar to those you find for generators, transformers and cables etc.? I've never really thought about Icw varying with voltage. Given that this is related to current flowing though a closed device, I would say it is not too dependant. The length of time the current is flowing would be a more important consideration. To determine the correct value of Icw you should carry out fault and protection studies. The fault study will give you the minimum value for Icw and the protection study the minimum duration you require. Often at early stages in a project if you can only do this approximately, you may need to specify higher ratings to be on the safe side. Your question on a breaker close to a generator is more complex. Good manufacturers literature gives a lot of guidance in selecting breakers for this type of application. This would be my first port of call. On delaying the tripping there are time and current settings, zone interlocking and other schemes. Any solution would be really specific on the application, the power circuit and the particular issues your facing. I need your guidance. For example load current is 630 A and short circuit current capacity of system is 70KA. And I have to select a breaker. 1.Suppose I have selected TP 630A MCCB with Icu=75KA. Am I right? And how should I select Ics and Icw? What are the factors on which Icw and Ics depend? 2. Suppose If I have selected TP 630A MCCB with Icu=75KA and Ics=50KA. a. In first case suppose If a short circuit current of 70 KA has appeared in the system, then as per my understanding the breaker will clear this fault for one time only as Icu=75k KA and Ics=50KA and will not be able to remain in service again because Ics is lower than 70KA. Am I right? b. Now in second case suppose If a short circuit current of 50 KA has appeared in the system, then as per my understanding the breaker will clear this fault as Icu=75k KA and will be able to remain in service again (for two more times) because Ics=50KA .However breaker will not remain in service after next 2 more attempts as Ics is for 3 times. Am I right? c. Now in third case suppose If a short circuit current of 40 KA has appeared in the system for several times, then how many times the breaker will be able to remain in service after clearing this fault? 3. What is the role of Icw ? How I should select Icw? I've updated the post with a little more information, which may help you. I think if you try to work out number of safe operations in relation to fault current, you will run into problems. My opinion in your case would be to select your breaker based on an Ics of at least 75 kA.